WITHOUT WAX - The teenage rock revolution is coming!!! WITHOUT WAX are on the rise to start a teenage rock revolution! At this point we will reveal the cover and a brand-new picture of the boys. Yannick, Florian, Jonas and Tino are thrilled to have their single “No School Today” released digitally all around the globe on June 6, 2009! 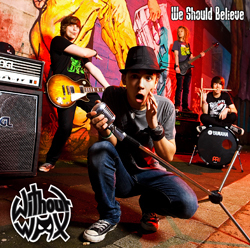 Shortly after, on June 6, their long awaited debut album “We Should Believe” will be released. The complete track list and press downloads are available on our artist webpage. Take a look at the new MySpace profile and listen to the tracks. The band is looking forward to your comments! We will arrange a listening session and a short performance by the band for the press and all interested people from the music business on May 5 at the Woodhouse Studio in Hagen. Anyone who would like to interview the band or have a chat with producer Siggi Bemm or with us is of course invited to join us. We will serve you with drinks and appetizers at the bar. WITHOUT WAX have been invited to the PopCamp 200 on May 16 by the Germany Music Council. A week later on May 5 the band will be opening EselRock festival in Wesel, Germany. Those of you who still don’t have enough might look forward to the release show of “We Should Believe”. The concert will take place on June 14 at Congaz in Dinslaken, Germany. WITHOUT WAX will join the after show party and sign CDs for their fans. CONTRADICTION - The ultimate thrash attack signed with Limited Access Records!!! We are proud to announce that from now on CONTRADICTION are part of the Limited Access Records family. 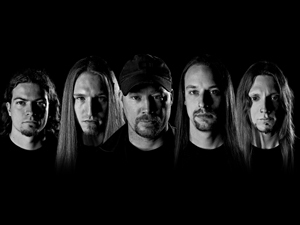 The “thrashers” were founded back in 1989 and released their last two albums “The Voice of Hatred” and “The Warchitect” on Armageddon Music (today Wacken Records). Their new album “The Essence of Anger” will be released on September 25, 2009 on Limited Access Records. We will reveal the cover, track list and other activities of the band at this point soon! 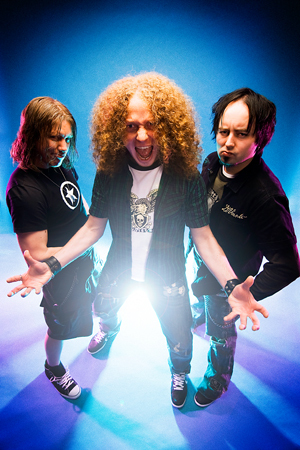 After CONTRADICTION have conquered Iceland last summer as first Thrash Metal band ever, the German thrash tank reduced Malta to rubble and ash in April. Read more about the bands’ Malta trip on their MySpace blog! EAT THE GUN  rock the festival season!!! After the successful release of the album „Super Pursuit Mode Aggressive Thrash Distortion“ this is the sixth week of the bands’ current chart position in the German DJ Metal/Rock charts! Praised by the press like never before EAT THE GUN will finally tour Germany this fall! On August 1 the band will rock at the Big Day Out festival in Anröchte (GER) and on the 28th at the Hütte Rockt festival in Georgsmarienhütte (GER). Be sure to buy tickets for both tour and festivals  you are about to see a peerless Rock ‘n’ Roll performance! In the latest issue of the Rock It! magazine you’ll find an interview with singer/guitarist Hendrik plus the song “Tendency to Sin” on the magazines’ Hear It! sampler. There’s also an interview with Hendrik in the latest Stardust magazine. Unfortunately, the release of the „Solitary Sinners“ music video had to be rescheduled. We are currently working on it and the video will rock you and your TV screens very soon! 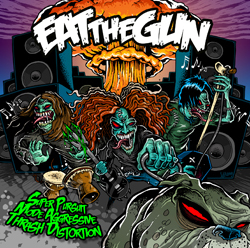 Last but not least we’d like to draw your attention to our MySpace EAT THE GUN special where you can win signed CDs and tickets for the upcoming tour! Check out the band’s MySpace profile and take part in the mobile video contest! As already announced in our previous newsletter, TRUSTGAME rocked Poland last month and have uploaded a tour video on www.trustgame.de! Currently the boys had been working on their planned gig at the Hundertmeister in Duisburg (GER). Today, May 1, Trustgame will play an unplugged concert at the Duisburg Philharmonic! The band will not simply strum their songs on acoustic guitars - presenting some of their songs newly arranged the band will be supported by a violinist, a cellist, and a grand piano. Furthermore they will be “supported” by one of their own. Kai Schumacher will play songs of Mendelssohn, Listz, Rzewski and Radiohead. DAVIDIAN - studio and producer found / festival tour!!! 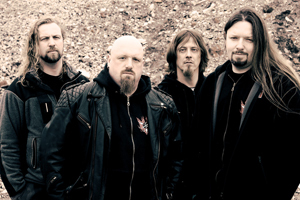 DAVIDIAN booked the Antfarm Studio in Denmark for early 2010 to record their next album with producer Tue Madsen Madsen (The Haunted, Cataract, Heaven Shall Burn, Sick Of It All, Dark Tranquillity). We are looking forward to the final result! The band is not going to waste any time until then. After their show on the release concert of Maroon DAVIDIAN will play a many festivals this summer (Hardline Therapy, Queens Of Metal Open Air, B:O:A, Eisenwahn Festival, Freaktime Show Concert & Metal Invasion Festival III)! 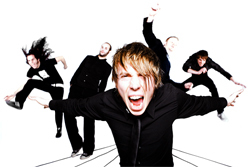 After their successful gigs in April THE MYSTERY are on the schedule of the fourth Börsencrash Festival on October 16th! Also present will be our youngsters WITHOUT WAX who are going to show the crowd how they rock! We are also proud to announce that MOB RULES and POWERWOLF will headline the festival. That’s all for now  more news soon on www.boersencrash-festival.de!